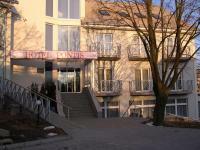 Hunguest Bál Resort Hotel is near the Balaton, special packages with half-board, in discount prices. The waterside hotel is located just one-hour-drive from Budapest, in Balatonkenese, next to Lake Balatons most modern port. 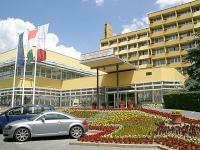 The hotel can be reached by taking route 71 after turning off the M7 highway in the direction of Balatonfüred. Wellness und SPA Thermal Hotels und Unterkünfte am Plattensee in Ungarn. Preisgünstige, Sonderpreise Hotel für Familien am Plattensee. Vier-Sterne Hotels mit Panoramablick direkt am Plattensee. 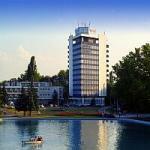 Description: Hotels at Lake Balaton, links from Balaton hotels, websites of hotels at lake Balaton. Summer festivals and wine weeks in autumn. Family holiday in winter. Lovers week in spring.